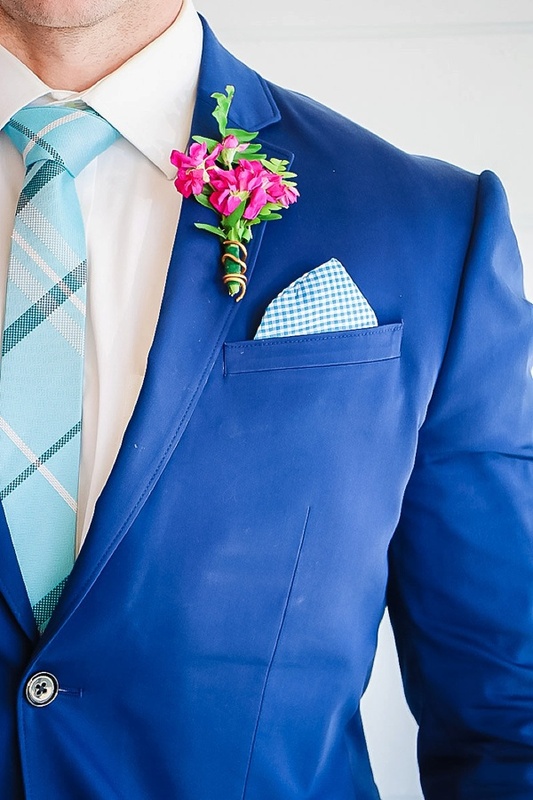 If you don't say "Yeah, Color!" 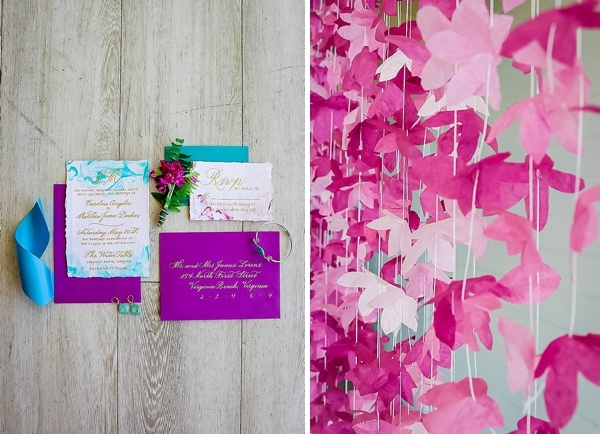 by the end of scrolling through this feature, then we aren't sure what's going to get you excited for bright and poppy wedding inspiration! 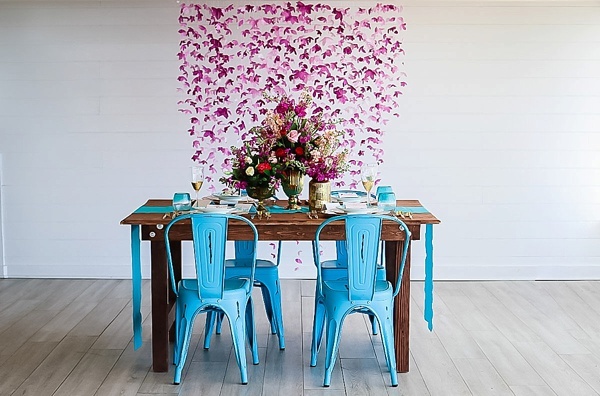 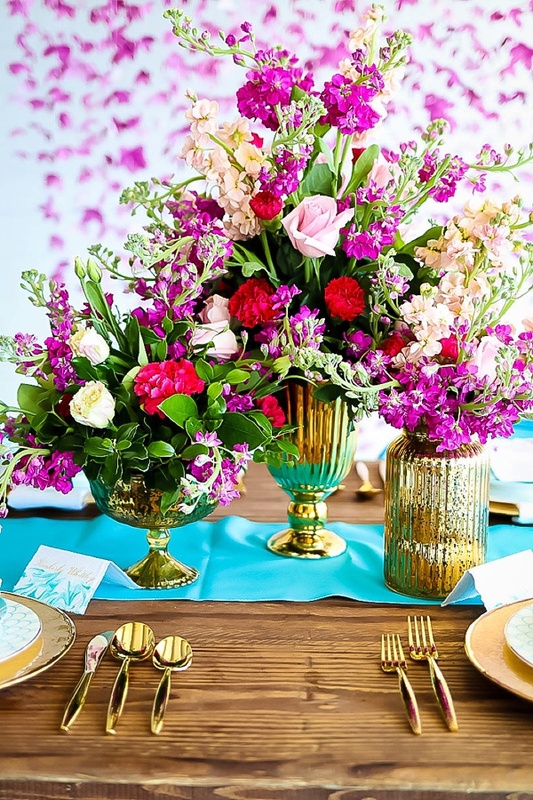 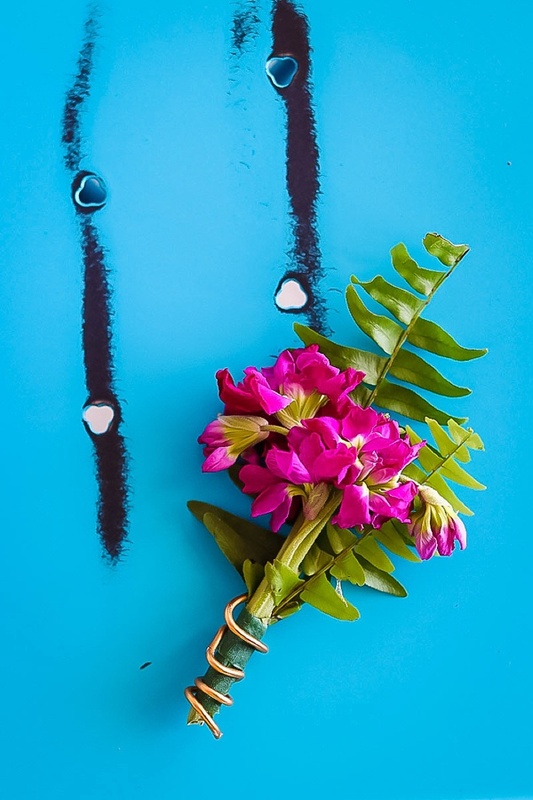 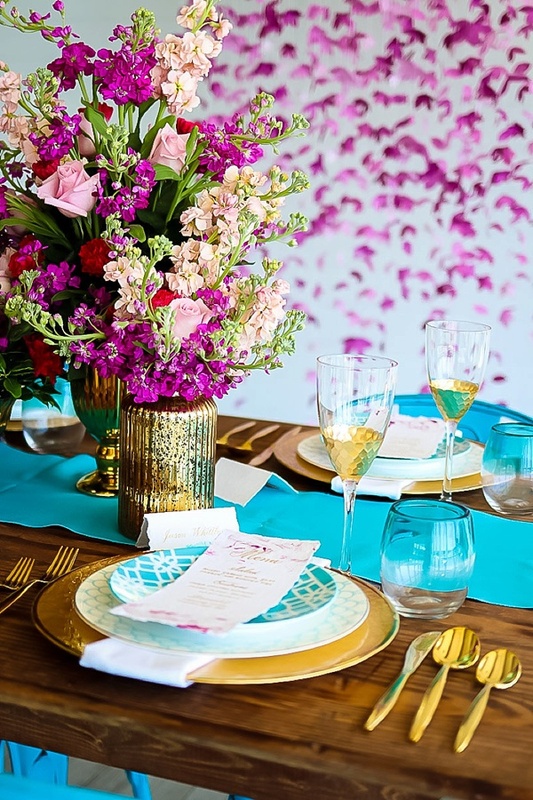 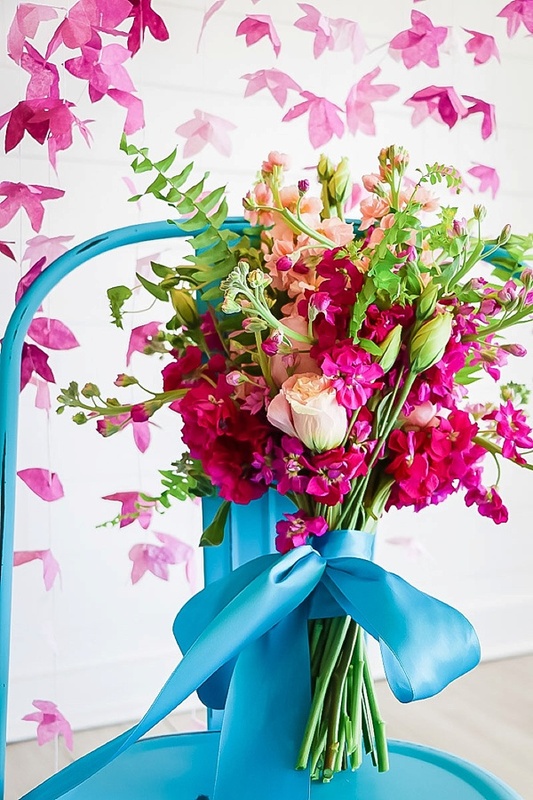 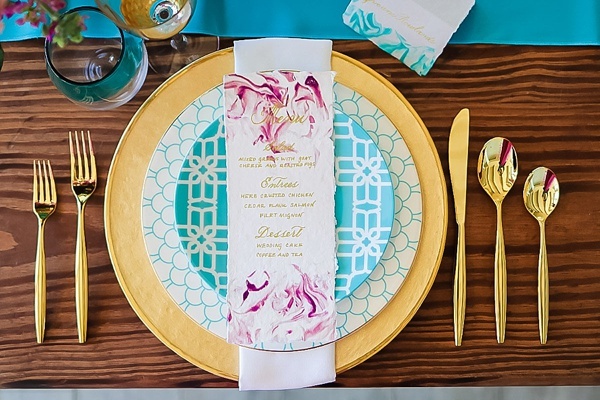 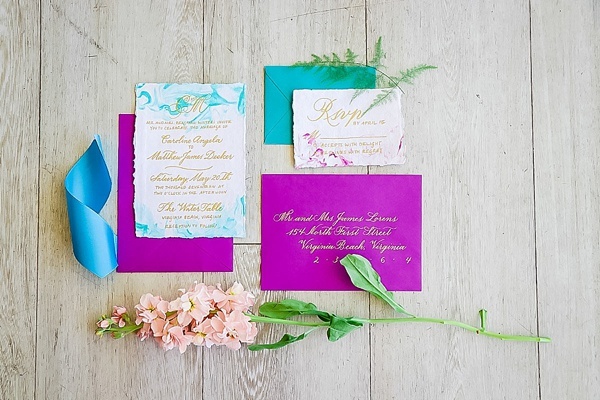 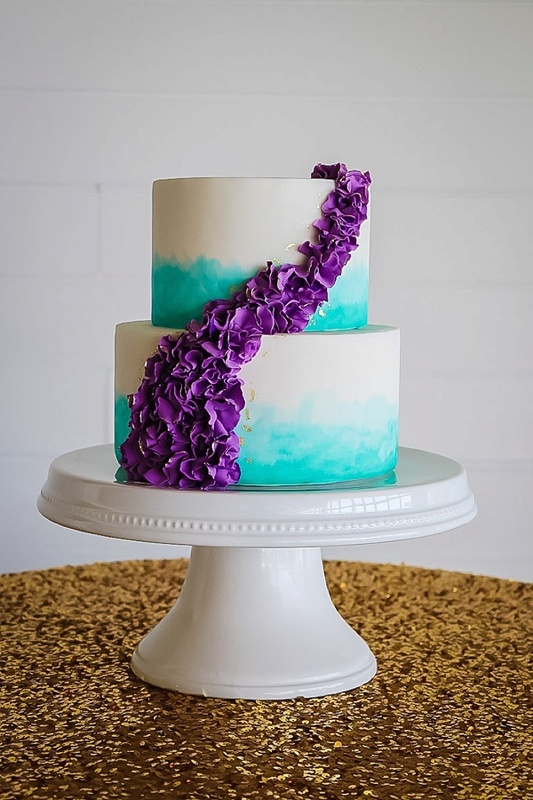 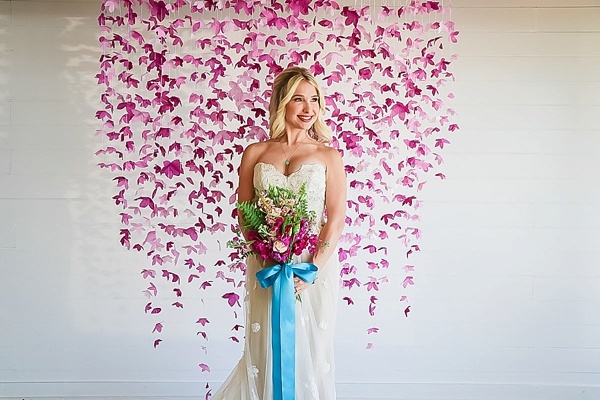 This creative team swam in delightful turquoises, luscious magentas, and radiant purples for this fresh modern spin on coastal celebrations, and we are loving it. 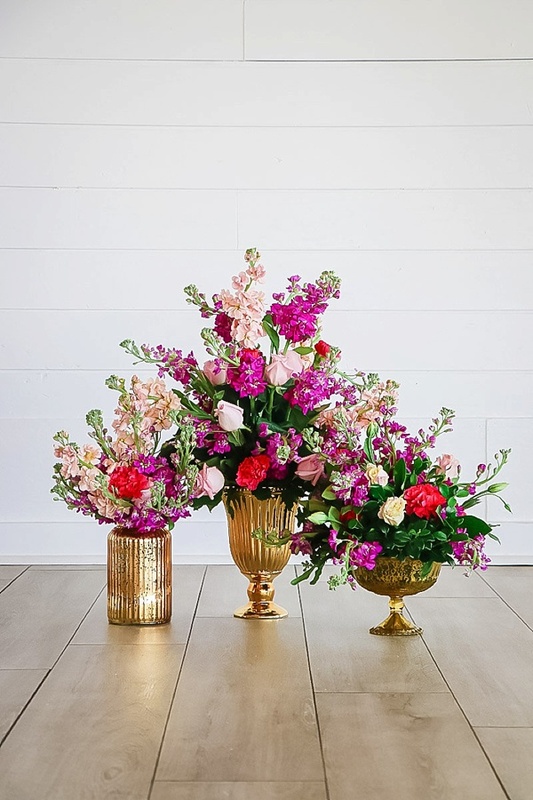 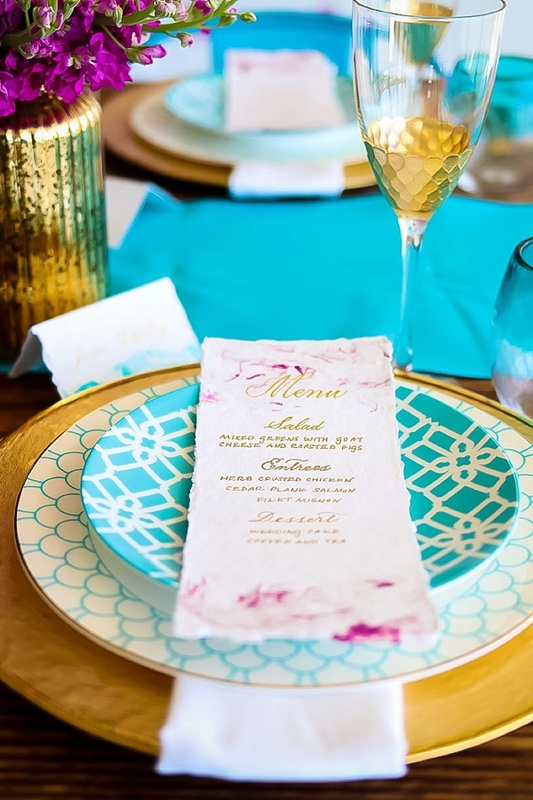 From marbelized stationery with gold traditional calligraphy, fish scale-patterned plates reminiscent of a mermaid's tail, to a rainfall of delicate tissue paper flowers that serves as the sweetheart table backdrop, there is everything to grab your attention in all the fun wedding ways. 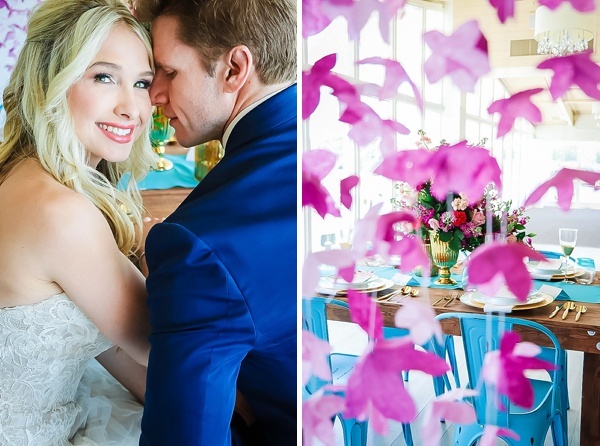 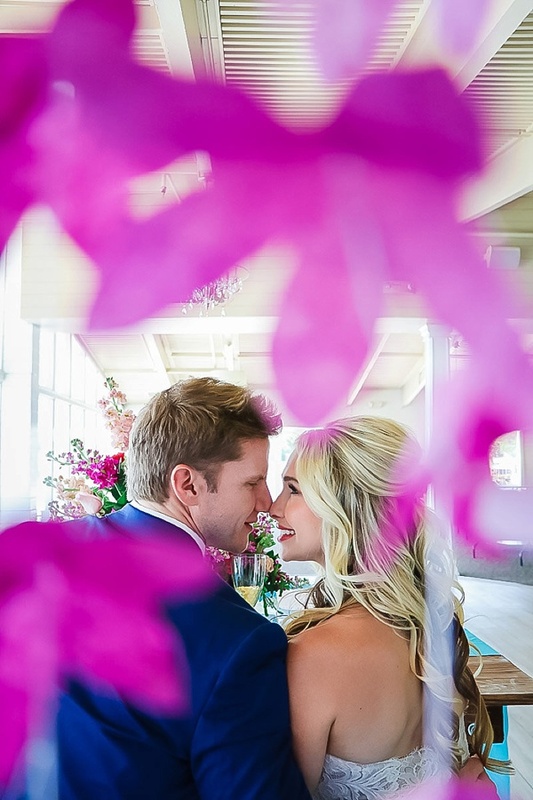 Captured by Tashena Shaw Photography and coordinated by Misty Saves the Day, these contemporary wedding ideas transformed into an intimate beach vignette at The Water Table in Virginia Beach. 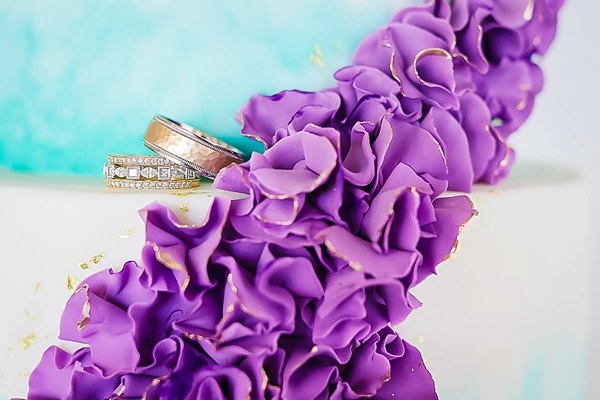 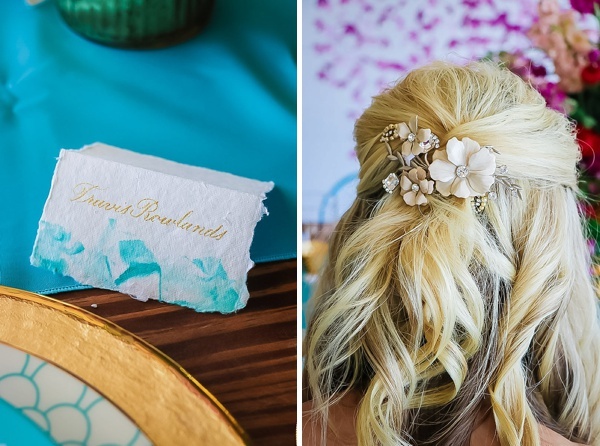 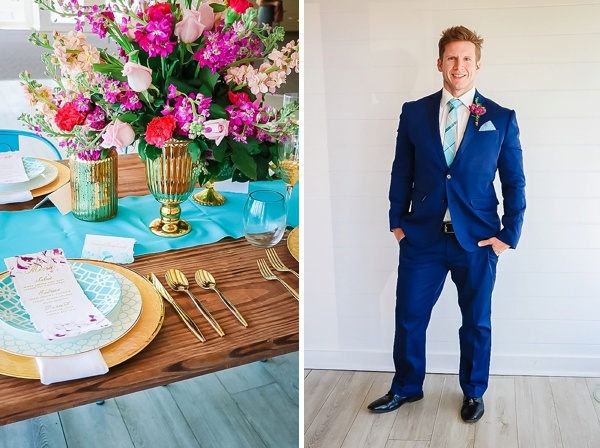 With artfully arranged pink blooms, a twisty barnacle-textured cake with washes of teal and gold flecks, a pampering getting ready studio on wheels from Dove & Daisy Spa, and a modern blue fitted suit, the bride and groom can celebrate in colorful chic style!